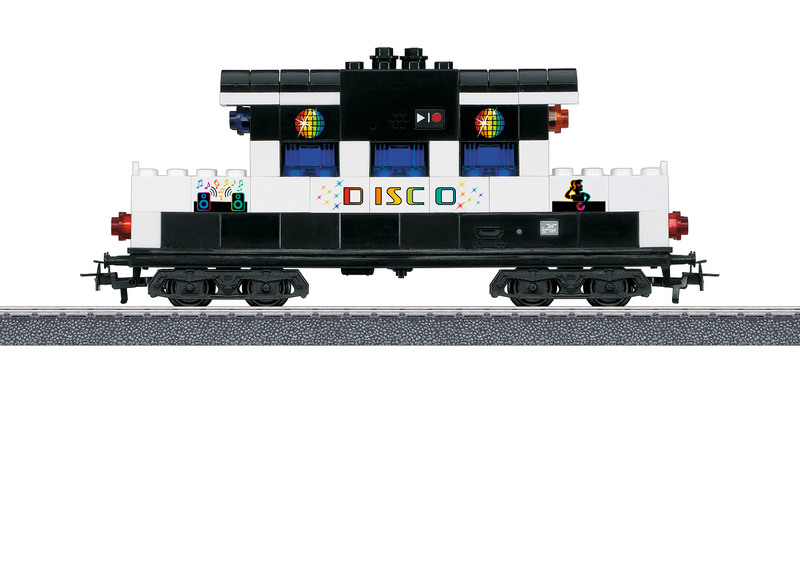 Disco car including a sound building block with record and playback option. Building block car including light building blocks, which light up individual details on the car. The car and the building blocks are compatible with other makes of building blocks. Model: This is a four-axle car as a building block car with the car body of a disco car. The car has commonly used pegs that invite you to build with building blocks. A building kit for a disco car is included for building the car body. The building kit contains the building blocks for the car body, the Mobile Power Unit for the light functions, a sound building block for the sound function, and stickers for fictitious car decoration. Light building blocks are included with the building blocks. They light up individual details on the car. The building blocks are compatible with other makes of building blocks. 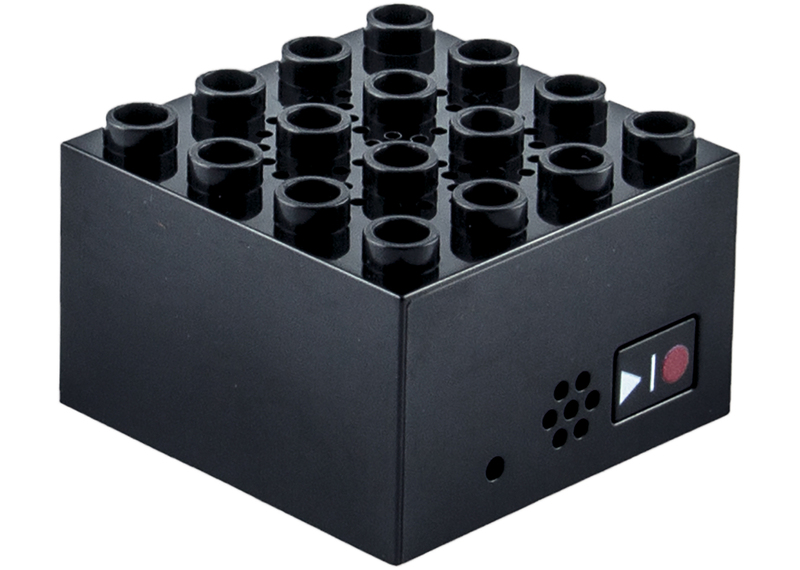 The sound building block has a Play & Record button, with which sound can be recorded and played back (record and playback option). The sound duration can be up to 60 seconds, which can be played back in a continuous loop. The Mobile Power Unit has six (6) light functions: permanent light, blinking, fading in and out, sound-dependent light (such as in the rhythm of your favorite music), lighting in heartbeat rhythm, or lighting with attached stand-by mode. A USB charging cable and assembly instructions are included. The car has Relex couplers. Length over the buffers 16 cm / 6-5/16". 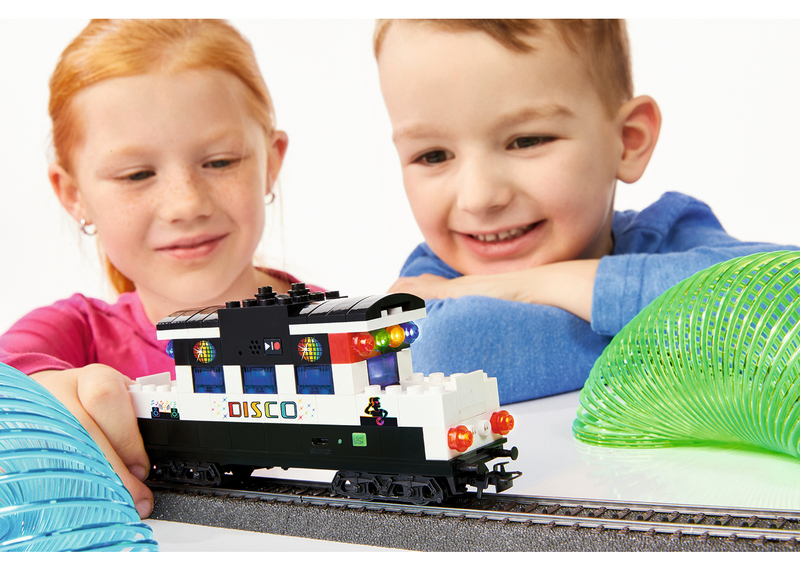 DC wheel set E700580. Additional products for the theme world of building blocks can be found under item numbers 44737, 44736, and 44734.